With these handy closet organization hacks and a little DIY magic you’ll never have to ask “where are my shoes?” again! A place for everything and everything in it’s place. Did your grandma ever tell you that? 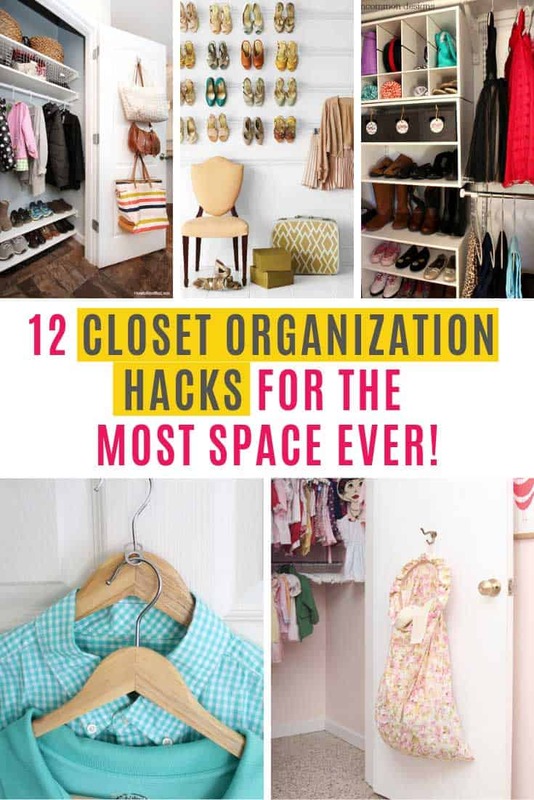 Well she would be super impressed with these closet organization hacks because from here on out you’re going to have the instagram-worthy closet you always dreamed about! I’ve rounded up clever storage solutions for everything from clothes and shoes to purses and even jewellery. So whatever it is you want to wear you’ll know exactly where to find it! Create your own “custom closet” using shelving units and hanging rails. Use the shelves to store shoes and accessories. 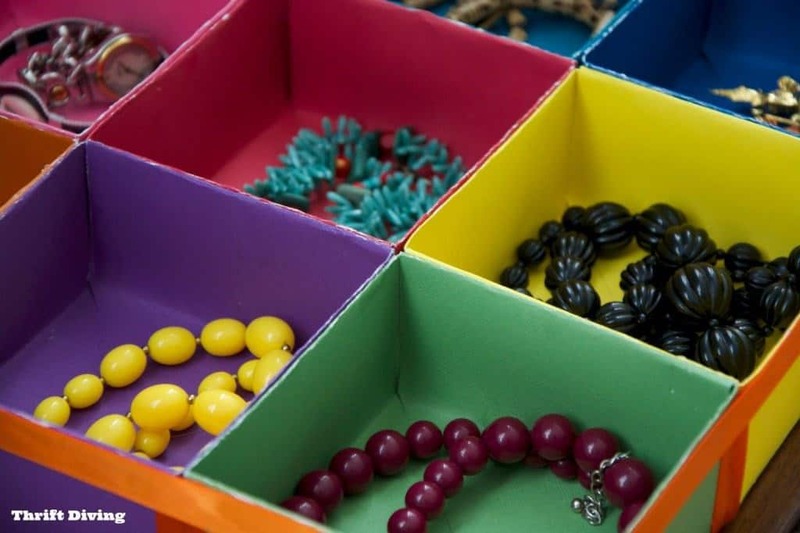 Labelled boxes can be used for scarves and gloves, hair accessories, jewellery or socks and underwear. 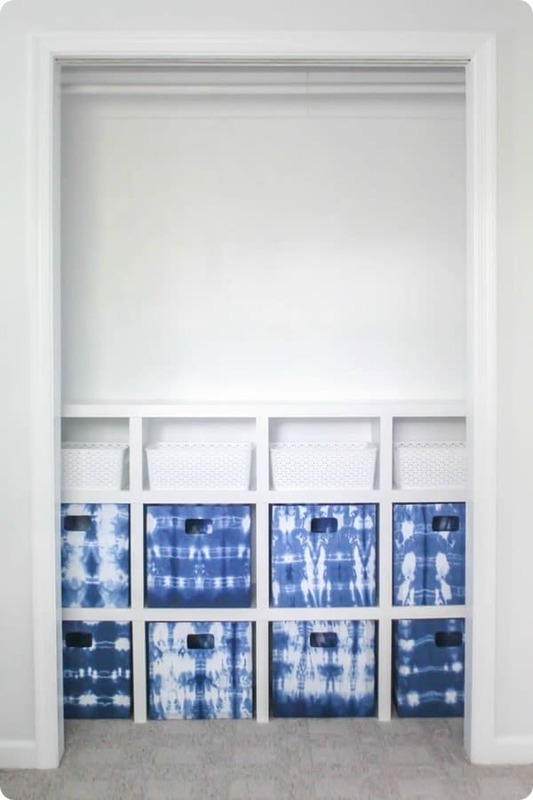 You can build your own shelves for a custom fit to your closet system, and if you can’t find fabric storage bins in a design you like go ahead and make your own! Drawer organizers are handy for everything from socks and underwear to jewellery and accessories. You can make your own using pretty scrapbook paper! 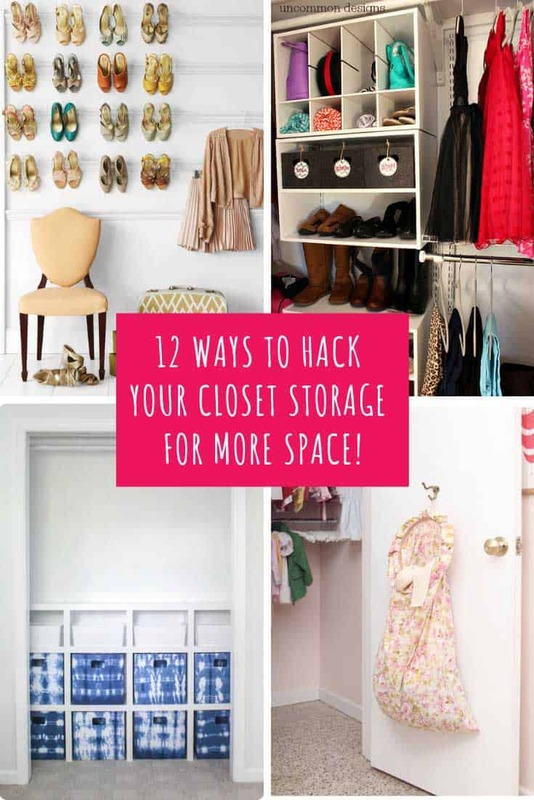 You can gain more space in your closet from “double hanging” your clothes. You don’t need to buy any special gadget to do this because you can use the tab from your soda can! Don’t miss Gina’s clever trick for keeping your winter boots upright in the closet too! 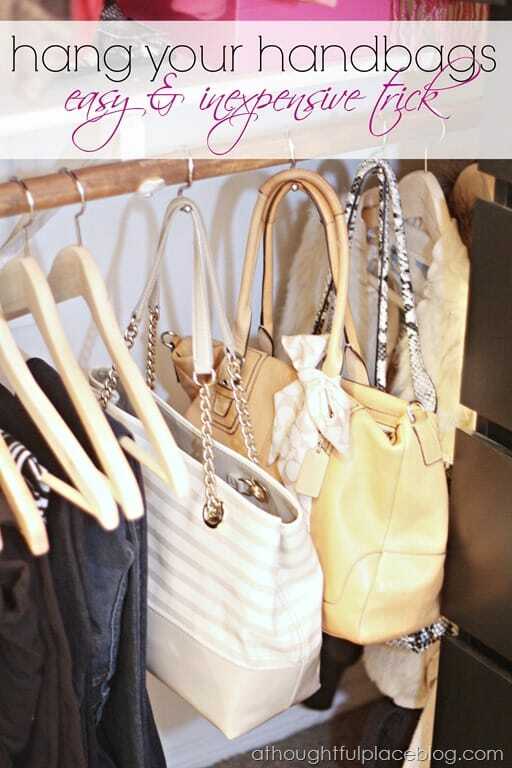 Make use of the inside of your closet door for storing bags, scarves or even your camisoles on hanging hooks. 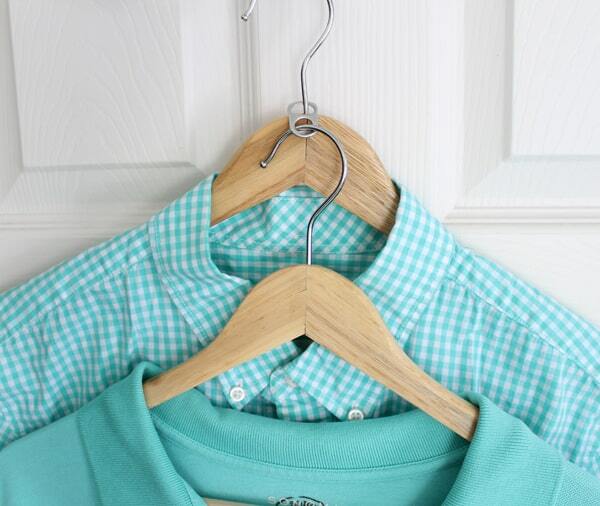 Or if you don’t have room on the inside of your closet door make use of an extra rail low down in your closet. 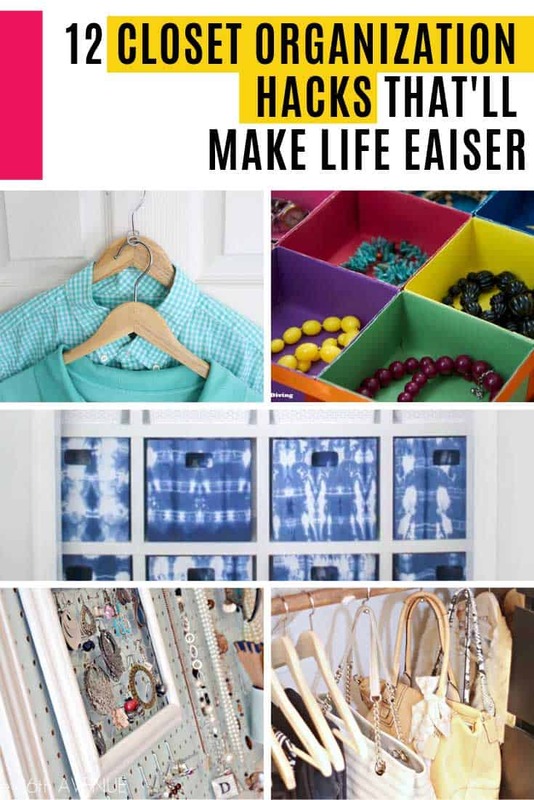 Add some s hooks and you can store purses, belts, scarves and camisoles down low. If you don’t have a mudroom or you just prefer to store your shoes in your closet use some wall space to keep them off the floor. This clever hack makes use of picture rail molding to put your best shoes on display. Or if you have an alcove area in your closet try this clever hack which is perfect for storing heels. 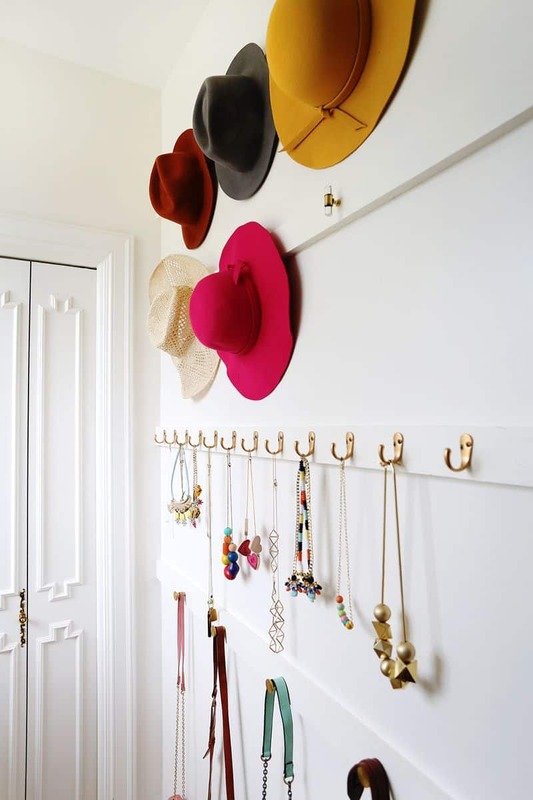 You can make use of a blank wall to organize your hats and jewellery. 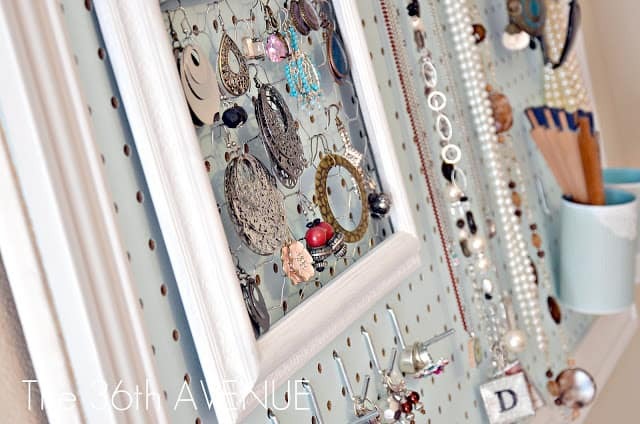 Or if you need to save your wall space for a full length mirror instead try this clever DIY project for hidden jewellery or makeup storage. 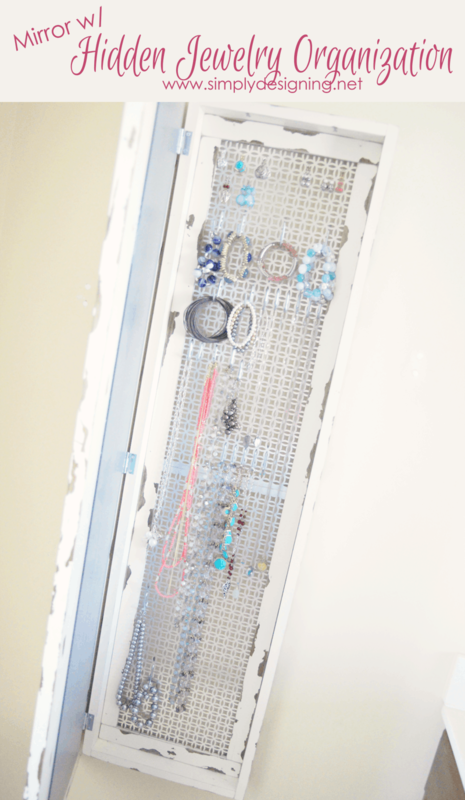 Or for all you pegboard fans out there how about adding a piece in your closet to store all of your earrings, rings and necklaces! 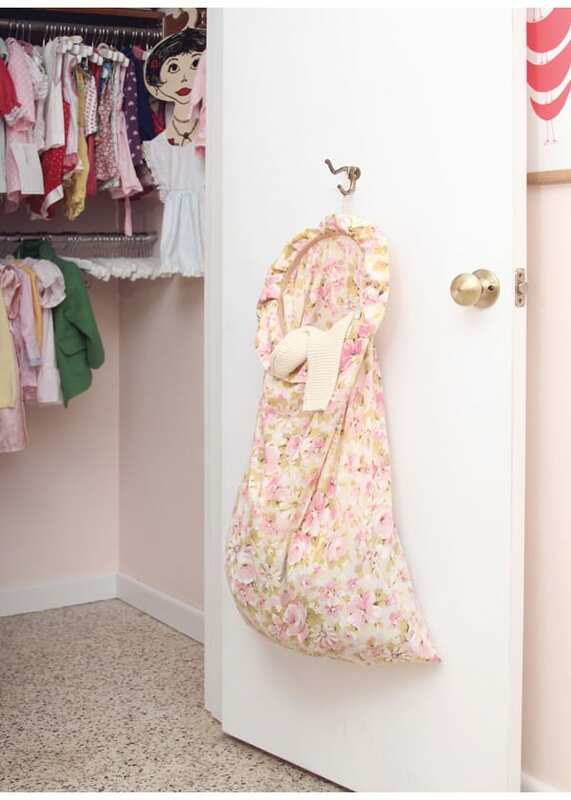 Here’s a great way to stop your laundry hamper stealing valuable floor space… hang it from a hook on the inside of your closet door! Previous PostPrevious Gorgeous Mandala Crochet Patterns You Need to See! Next PostNext 10 Creative Mickey Mouse Craft Ideas for All You Disney Fans!